The MySQL GUI team, under the leadership of graphical guru Mike Zinner, has posted a new beta version of MySQL Workbench. This is a brand new graphical tool targeted to DBAs giving them a powerful graphical environment for modeling and managing database schemas. 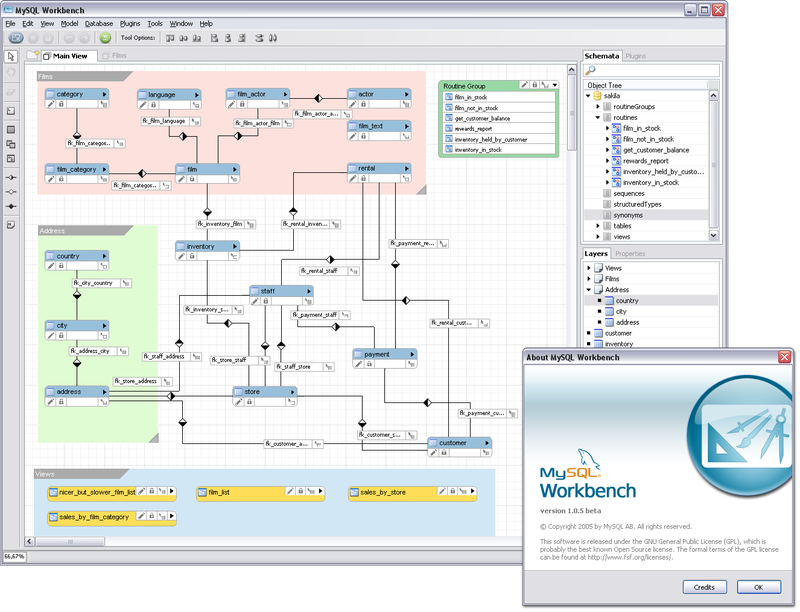 This is an awesome tool that makes it easy to reverse engineer huge database schemas, maintain the model graphically, and it provides complete 2-way synchronization between the graphical model and the underlying database schema. It provides automatic layout, customizable views, drag and drop capabilities and more. 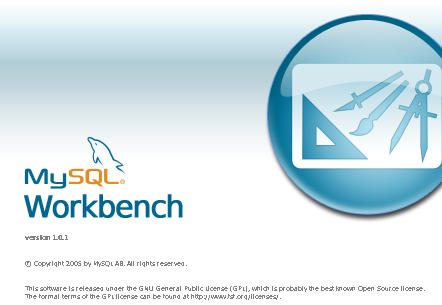 MySQL Workbench runs on Windows, Mac and Linux and takes advantage of the native interface on each platform. Performance is awesome even for very large models with thousands of tables. 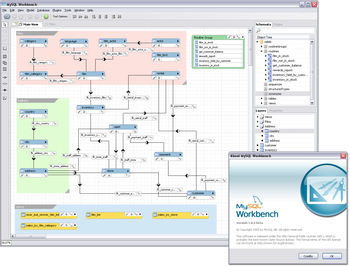 Workbench has an extensible architecture via an underlying scripting engine and a cool plug-in interface. You can also import models from DBDesigner4, Mike's earlier modeling tool. Workbench is a graphical tool, so words fail me in describing how cool this is. Really, just download it, check it out, and post to the forums to let us know what you think. do you have a link to the Mac version? I ask myself to replace my DBDesigner4 with MySQL Workbench. In this beta, is there the same features (or more) than DBDesigner4 like reverse enginerring ? Is this beta enough stable, today, to replace my DBDesigner ? Hi Ian, MySQL Workbench's reverse engineering seems to work great but it doesn't consider triggers and stored procs ... too bad. See a post in my weblog for more details on my experieces. I'd suggest that you wait. And then wait. And maybe wait a little bit longer. Right now, I'd not even consider this to be a beta - it crashes far too often because of failed assertions, the UI is tentative at best (you can't remove FK relations easily, it doesn't stop you from throwing away a bunch of changes, there is no context sensitive help, no way to set fonts or colors ...). After about half an hour of work on a schema, the workbench now simply core dumps when it tries to read this schema in again. Did I say 'wait' already? It's a beta ! think to feedback on bugtracker. It's so easy, link is in help menu . This tool let promise many good think. I should just only imagine about such perfect skills in thesis samples related to this post accomplishing. I unremarkably take the aid of the perfect thesis service. In my situation it fits me perfectly.